Summer Camps are now registering and they fill up lickidy split! 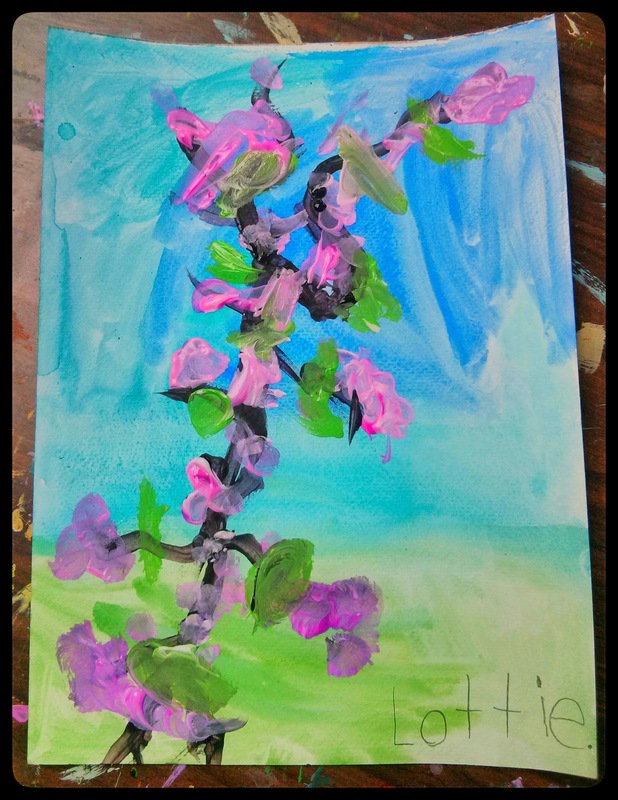 Spring is full swing here at Studio-kids. Just a couple shots from 6-8 year old class. 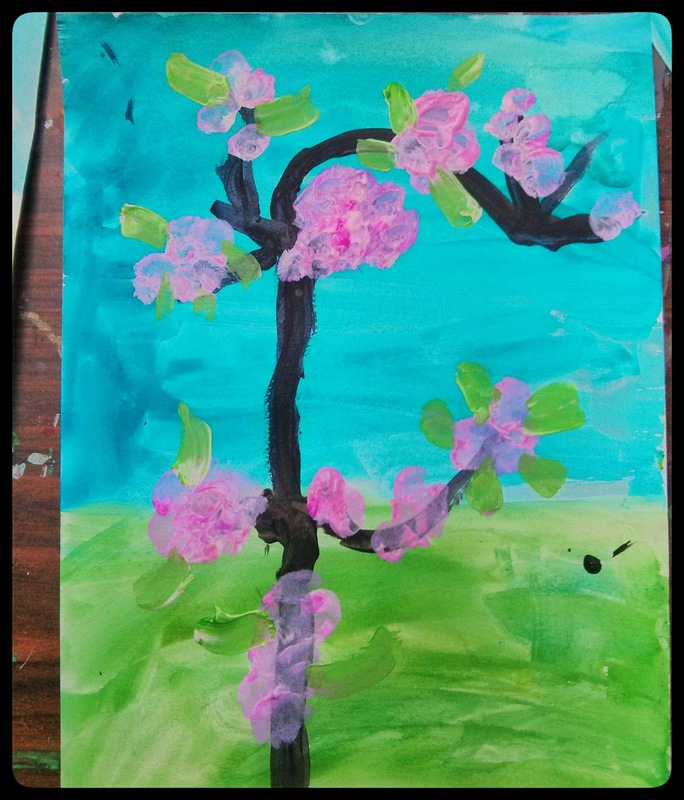 We started our paintings with wet on wet water colour so that our green and blue would blend together. 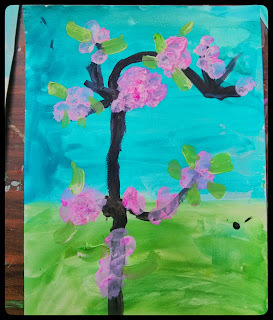 While our paintings dried in the sun we went out to the garden to pick a a few branches from the apple tree. After some close examination of the branch structure we started painting. We noticed the branch was very wiggly and resembled the letter Y. Best approach was to paint the branch very slowly with our non dominate hand to get it nice and shaky! Dark pink, light pink and white to dip our brushes in, then quick gestural strokes. Voila! Blossoms!